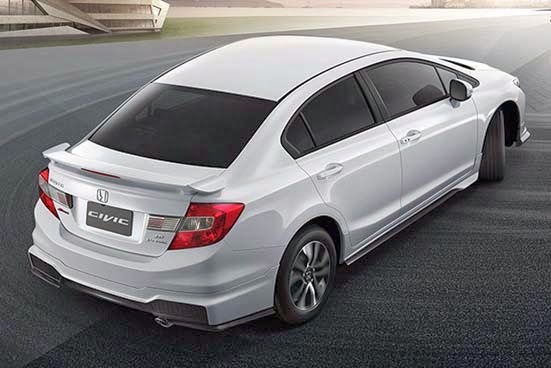 New Honda Civic 2015 looks more sporty which sharpened with aero kit in front, side and rear. To reinforce the sporty impression, a rear wing attached to the trunk lid, end of the pipe chrome exhaust with sports emblems. The cabin exudes luxury and comfort with Advanced Touch Display Audio 7 " with functions Smartphone Connectivity, HDMI port, and Multi-angle Rear View Camera. 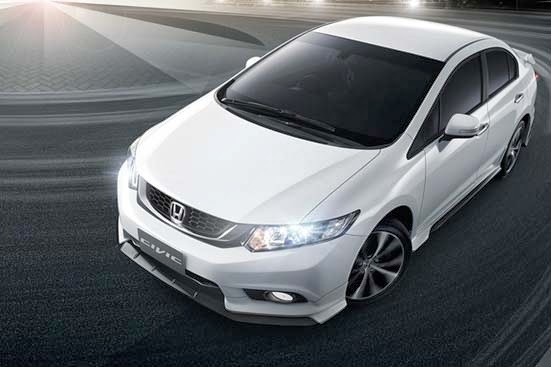 Honda Civic Sport is only available engine variants 2.0 liters and 1.8 liters. 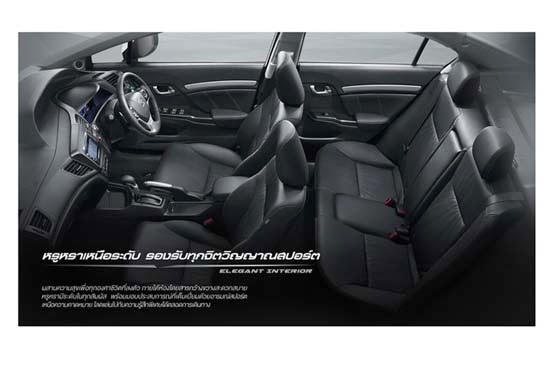 The interior decor Honda Civic 2.0-liter A / T NAVI Piano Black color. This variant is also equipped with automatic on-off headlights, rain sensors, electric driver's seat with 4-way adjustment, and side curtain airbags. Honda Civic 1.8 EA / T NAVI with interior Piano Black, Advanced Touch Display Audio 7 " with Smartphone Connectivity, HDMI port, One-push Ignition System, Honda Smart Key System, Multi-angle Rear View Camera, and 16-inch alloy wheels new design. All machines can use 85% ethanol (E85). Safety features such as Dual SRS Airbags, Vehicle Stability Assist (VSA), Anti-lock Braking System (ABS), and Electronic Brake Force Distribution (EBD).